Icy mornings and dark evenings, yes kids - it's winter and my feet are cold. I need fluffy socks, some trash TV and a stack of cosy books please. So, naturally, I took a nice long look at my bookshelf and picked off some books that are perfect for those frosty weekends and those bitter evenings. 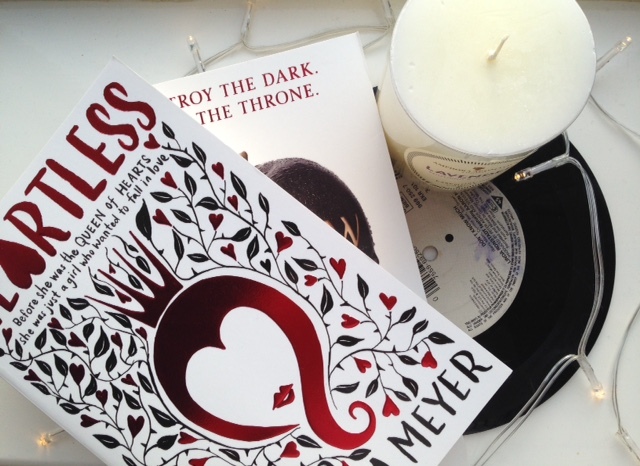 An Alice In Wonderland-inspired tale, Heartless follows the tale of the Queen Of Hearts before Alice fell down the rabbit hole and even before she become Queen. A love story and whole load of fantasy madness - this book is a whole load of loveliness. 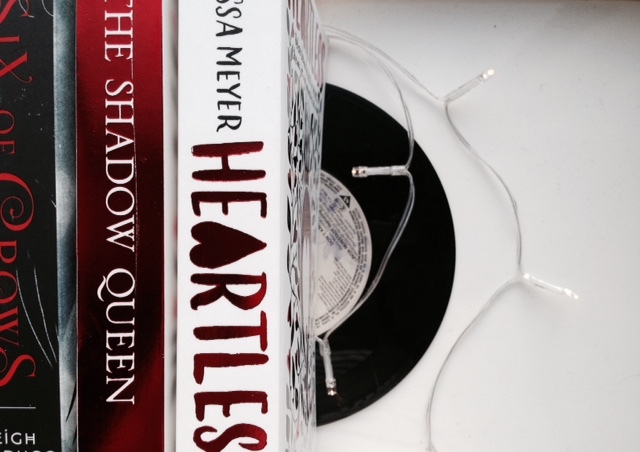 Magic and a war of thrones, evil queens take on a whole new meaning in this incredible tale - Shadow Queens. Telepathic owls and a lotta magic, this magical tale if perfect for any wintry weekend..
One of the most hyped young-adult books of the CENTURY, Six of Crows shares the incredibllle story of one of the most daring heists in literature. Misfits and robbers in a long book that you can really dig your teeth into. Oh, and it's a series. A classic, it's one of those heartbreaking books that can be read over and over again. Whether you prefer the film, or love the book - The Book Thief is a classic historical novel that inspired bravery and courage in the darkest of times. I read this book recently and loooved it. What if Hitler had won the war? And what is one, brave girl wanted to end his cruel rule and his life? A brave story with a load of action and drama, this odd, manipulative story is written with incredible description and imagery. Now go grab yourself some fluffy socks. I love these recommendations. The food in Heartless and the waffles mentioned in the Six of Crows duology just makes my belly growl. I need to read Shadow Queen and Wolf by Wolf though, so I may start reading them next winter. Thanks for the great books! If a book mentions drool-worthy food - it's immediately one of my faves. Shadow Queen and Wolf by Wolf are such good winter reads, perfect for an afternoon of hot chocolates and fluffy socks.